Mizoram University B.Tech. 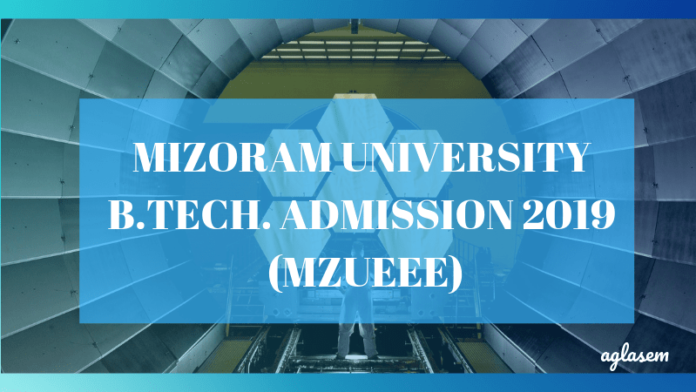 Admission 2019 (MZUEEE) – For admission to its 25 affiliated B.Tech colleges, Mizoram University conducts Mizoram University Engineering Entrance Examinations (MZUEEE). MZUEEE 2019 Application form is released in the month of April, every year and it needs to be filled in online mode over, mzuegov.in. Admission is provided on the basis of JEE Main scores, other than MZUEEE scores. Other than B.Tech courses, Mizoram University also offers various Lateral Entry, M.Tech and Ph.D programmes. To know more about Mizoram University B.Tech. 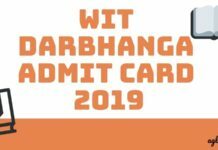 Admission 2019 (MZUEEE), candidates can keep reading! Below, we have provided with the tentative dates of Mizoram University B.Tech. Admission 2019 (MZUEEE). Candidates are advised to keep a note of it, so that they don’t miss out on any important update! Candidates are offered the following B.Tech courses to pursue in Mizoram University. In order to get admission in any of the following course, a candidate needs to fulfil its eligibility. 50% of seats are to be filled on the basis of JEE CSAB. Whereas, the other 50% of seats are to be filled by MZUEEE 2019 qualified candidates. An aspirant must have passed 10+2 examination with at least 50% marks in aggregate with Physics, Chemistry, and Mathematics from any recognized board. For reserved categories, there is relaxation of 5% marks i.e., they must have obtained 45% marks in 10+2 examination through a recognized board. Those who are appearing for 10+2 exam this year can also apply. A candidate is eligible if his/ her date of birth falls on or after October 01, 1993. There is upper age limit relaxation of 5 years for reserved category students i.e., SC, ST and PWD students whose date of birth lies on or after October 01, 1988. Date of Birth mentioned in the Class X Board certificate will be considered. As per previous year data, a candidate is required to submit the following amount of money as MZUEEE Application fee in online mode. As soon as the authorities release the application fee for this year, we will update this page accordingly! Mizoram University releases the the list for eligible candidates for their B.tech courses. The University releases the admit card in a pdf format on its official website, mzuegov.in. On the day of the exam, a candidate needs to carry a copy of the same and affix a recent passport size photograph. All those candidates who are Mizoram outstation should possess valid Photo identity and one copy of passport photograph. Details like – exam date, center address, reporting time, exam slot, course specialisation, along with some personal details are mentioned on the MZUEEE 2019 Admit card. The syllabus for Mizoram University Entrance Exam is as per the JEE main exam. So, your preparation for JEE Mains is said to be sufficient to appear for MZUEEE. Exam Pattern: The standard of exam will be that of Class XI and XII level, comprising three sections Physics, Chemistry and Mathematics. 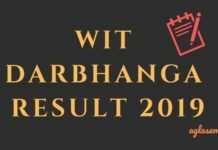 Mizoram University announces the result of MZUEEE 2019 on its official website, mzuegov.in. 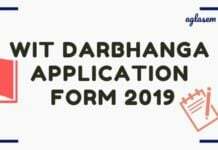 The result is announced in the form of merit list. Over the MZUEE merit list, a candidate finds his/her order of merit, exam roll number and Application ID. The merit list is separately released for separate courses. On this basis, a candidate is called for counselling round. All the documents/details, provided by a candidate, at the time of form filling is verified and a candidate is allotted a seat, finally. In case of any vacant seats, the University calls for further counselling rounds and a candidate is notified regarding the same at the time of counselling. The number of seats, available per B.Tech course is subject to change, every year. In case of any changes, this year, we will update the same on this page! Till that time, a candidate can check the number of seats available, per B.Tech specialisation from below. Candidates by qualifying for MZUEEE 2019 become eligible to pursue any B.Tech course from its affiliated colleges. The list of affiliated colleges has been provided below. Mizoram University was established in the year 2001, under UGC guidelines in the Aizawl city of Mizoram. Other than B.Tech courses, the University also offers, courses in the field of life sciences, education & humanities, physical sciences, engineering & technology, social sciences, earth sciences & natural resources management, economics management & information sciences and fine arts, architecture & fashion technology. The applications are online invited in online mode and from eligible candidates. Furthermore, candidates need to check the different admission process for different courses, before applying. It has 36 affiliated colleges, 14 different cells/clubs and 8 different schools.